1. Guest bartending by Boston bar stars Josh Childs & John Nugent. 2. A FREE ride to prom in a fabulous town car for first time users of UBER. 3. Mixology! The finest spiked punch in the land made with products provided by our amazing partner sponsors*. 4. Prizes for best dressed! 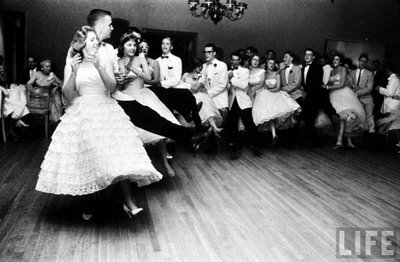 Don your full skirts and baby blue tuxedos, your waterfall bangs, ’80s prom dresses, and skinny ties. 6. Professional Prom Photos to immortalize the best night of your life. 7. Free entry if you bring donation items! (Listed below) And proceeds from every beverage or raffle ticket you purchase benefits breast cancer. 8. An “Under the Sea” themed wonderland where you’ll dance the night away – just like “Back to the Future”. 9. A groovy singing, dancing lobster – just like in the Little Mermaid. Only BETTER. 10. A unicorn. Named Tom Cruise. On Monday, February 4, 2013 from 7-11pm LUPEC Boston will transform the back room at Silvertone into an “Under the Sea”-themed Prom. The night will be a whimsical evening of dancing, drinks, and awkward slow dancing, all to benefit women’s charities On the Rise and The Breast Cancer Fund. THE SNOW BALL will be LUPEC’s second annual winter prom, a party and clothing drive designed to alleviate the winter doldrums for Boston-area cocktail lovers while collecting clothing and raising money for women’s charities. Beneficiaries this winter are On the Rise, a Cambridge-based non-profit that supports the initiative and strength of women living in crisis or homelessness, and cash donations for The Breast Cancer Fund, a non-profit working to translate the growing body of scientific evidence linking breast cancer and environmental exposures into public education and advocacy campaigns to protect women’s health and reduce breast cancer risk. Entry to THE SNOW BALL costs $25 and will be granted on a first come, first served basis. 100% of ticket proceeds will be donated to The Breast Cancer Fund. Clothing donations will be given to On the Rise. Guests who bring clothing and other items deemed acceptable for donation (magic list below) will receive tickets for complimentary drinks commensurate with their donation. $5 spiked punch will be available for purchase. Light snacks will be served and celebrity bartenders Josh Childs and John Nugent will hold forth behind the stick. These items will get you in for free! Seasonal, causal women’s clothing and travel-size toiletries are items that are always needed by the women at On The Rise. Here’s a few easily portable items you can bring to The Snow Ball. For a full, comprehensive list of items that can help, click HERE. Free rides for first timers! LUPEC Boston is excited to offer $25 off a town car ride to our launch event for anyone who hasn’t tried Uber yet! Haven’t heard of Uber? No problem! Uber is an iPhone/Android app that lets you tag your location and summon a professional driver to your side within minutes. Once in the car, the driver will take you wherever you need to go. The fare is billed to your credit card with tip already included so you don’t have to worry about handling cash. For the radius of Ubers available pickup, as well as a detailed breakdown of rates, check out www.uber.com/Boston. “boslupec2013”. Head into the app, click on account, then promotions, and enter the code. Once applied, your ride will be way cheaper – and slicker – than a cab!